Well, this was a nice surprise. 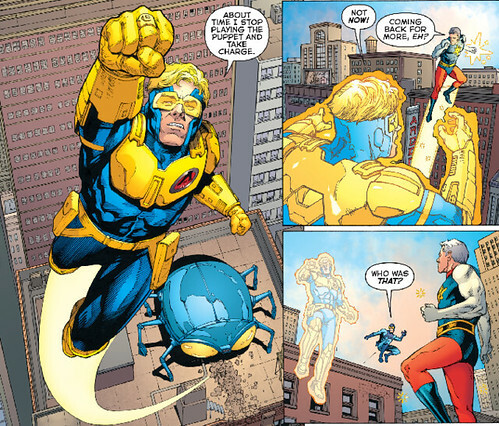 The Bronze Age Captain Atom had a brief cameo (along with Dr. Spectro and Blue Beetle) in Booster Gold: Futures End #1. 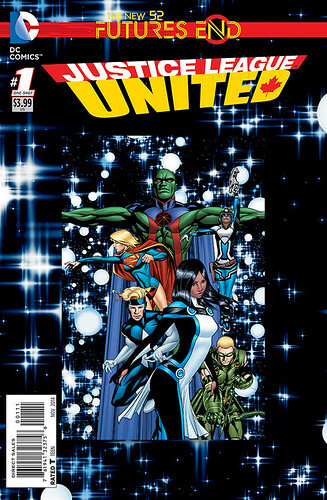 This issue was written by Dan Jurgens (naturally) with art by Jurgens, Moritat, Will Conrad, Steve Lightle, Stephen Thompson, Mark Irwin, Ron Frenz, Scott Hanna, and Brett Booth. 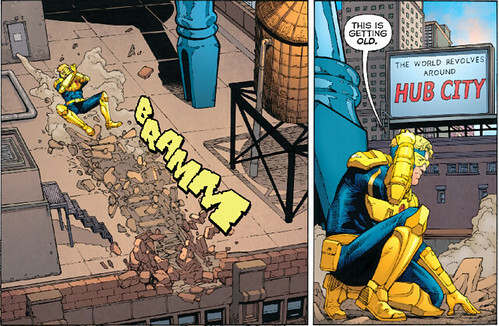 Colors were by John Kalisz and the letterer was Taylor Esposito. It was good to see Cap back in the red tights again. 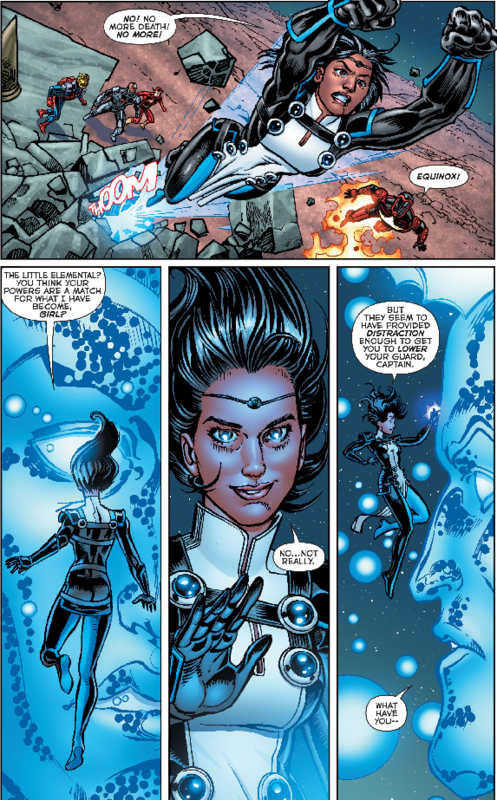 In the interest of remaining spoiler-free (and because I still haven’t caught up on Futures End), I’m just going to be posting some images from the book for now. 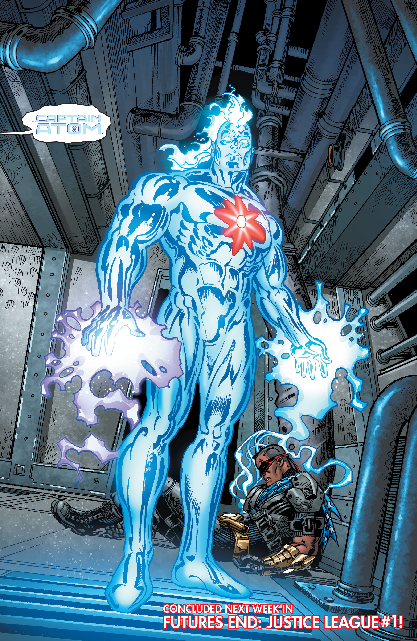 Captain Atom is still out there and still doing the super hero thing (or possibly the super villain thing, depending on your perspective). 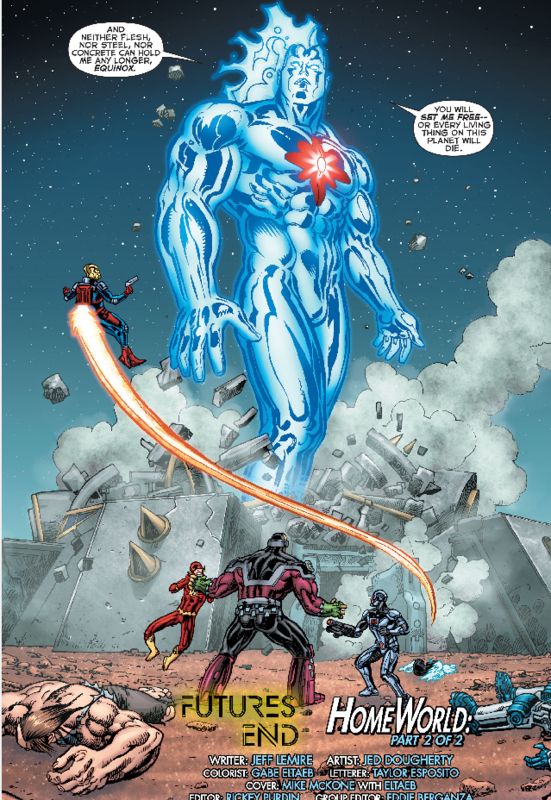 I like Jed Dougherty’s Captain Atom, but I’m not super crazy about his Captain Adam. Weird, I know. 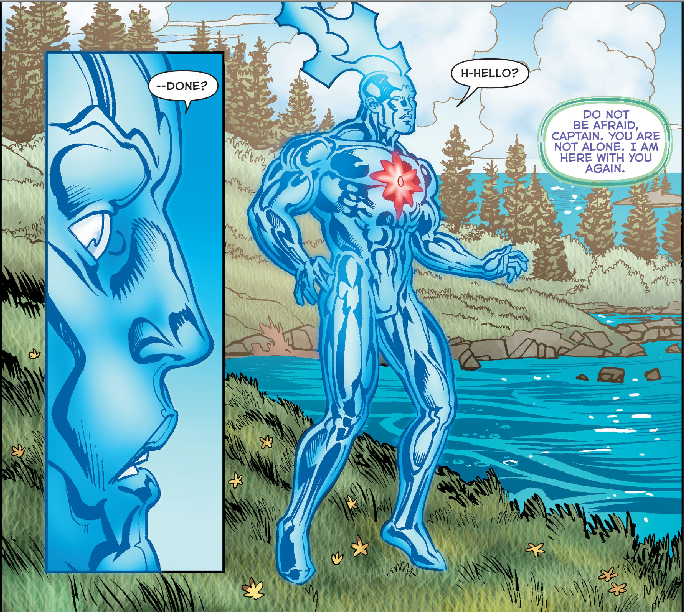 The New 52 Captain Atom (at his most Dr. Manhattan-like) leaves the DCU (again) in a blaze of glory. 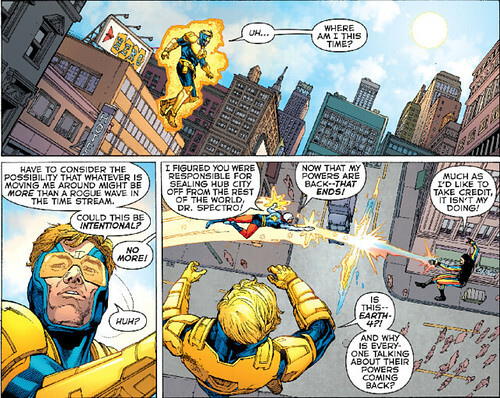 We thought he had died in the pages of The Fury of Firestorm: The Nuclear Man, but five years down the road he’s back in Futures End and not taking any crap. Unable to best his foes (and proving he has lost touch with his own humanity), Cap decides his only option is to destroy himself. 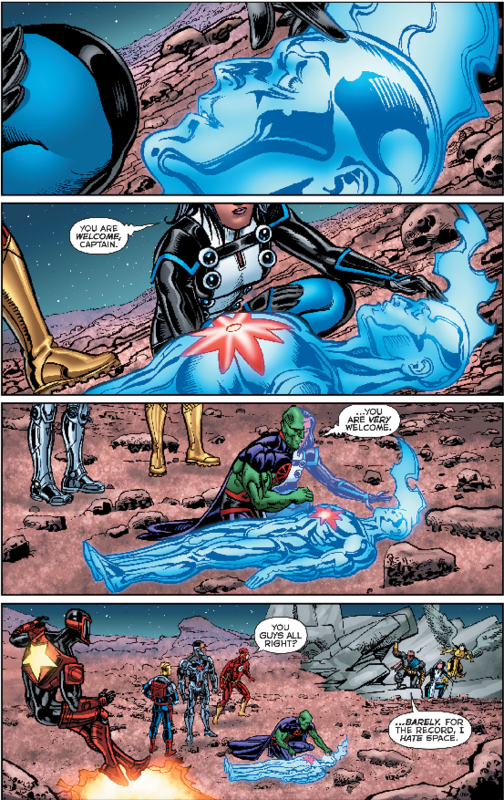 Equinox (or is it Martian Manhunter?) 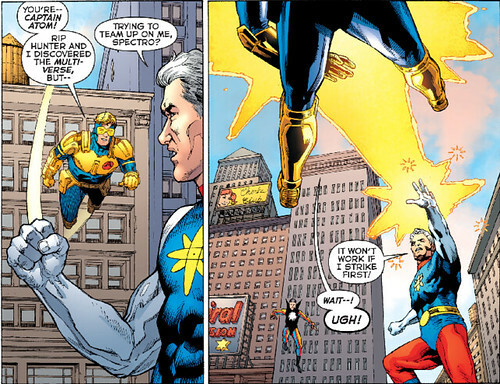 stops Cap in his tracks and saves the day. She (he?) sets Nathaniel Adam free. 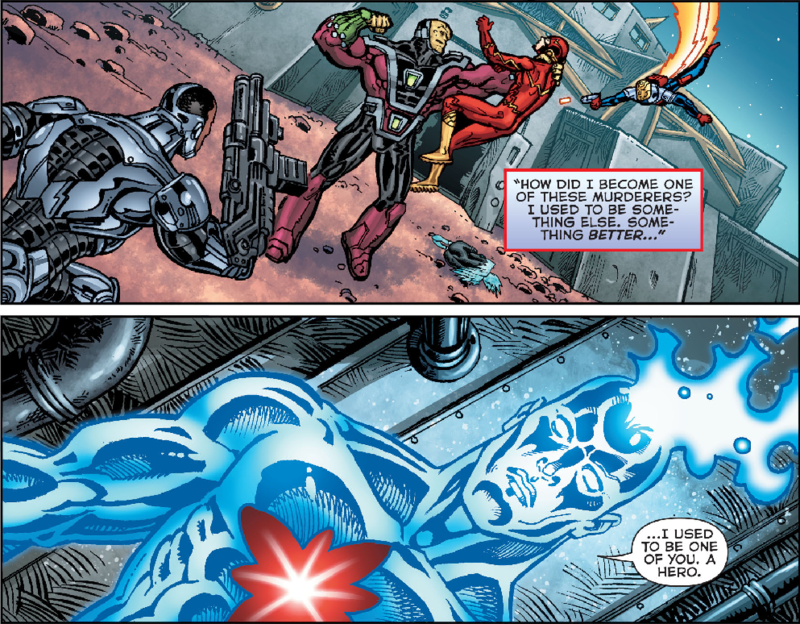 It was Martian Manhunter, of course, using his telepathic powers to give Captain Atom inner peace. 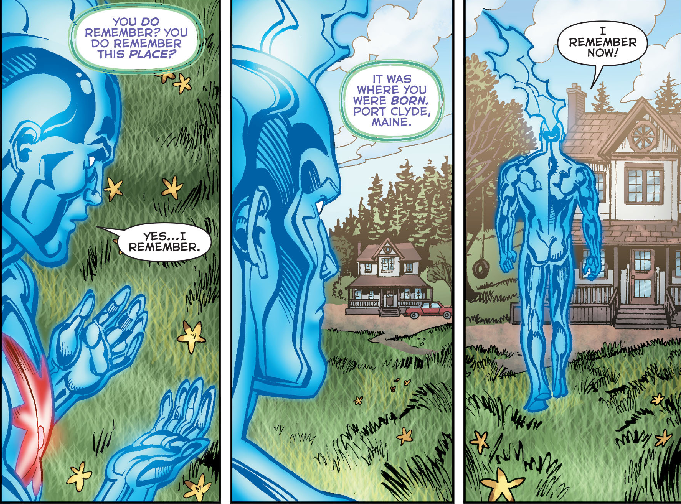 This may be (at last) the end of the New 52 Captain Atom. 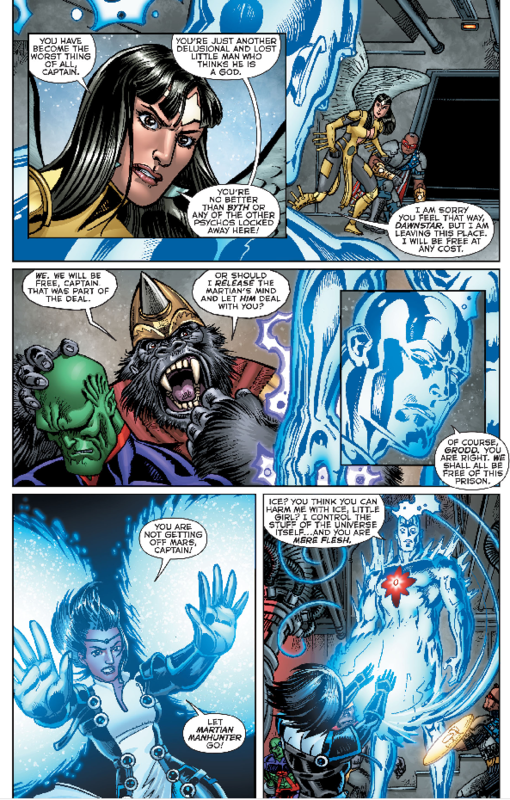 The upcoming Convergence series may make the New 52 Captain Atom a thing that never even existed. Time will tell. Okay. 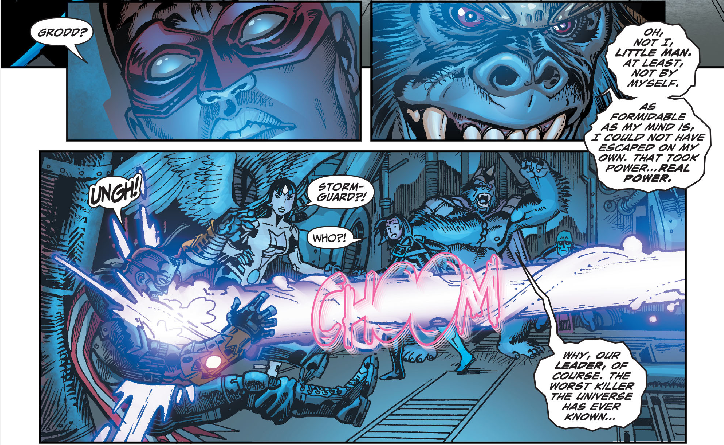 I haven’t been keeping up with the Futures End crossovers. Honestly, I found the thing a little confusing and kind of boring. 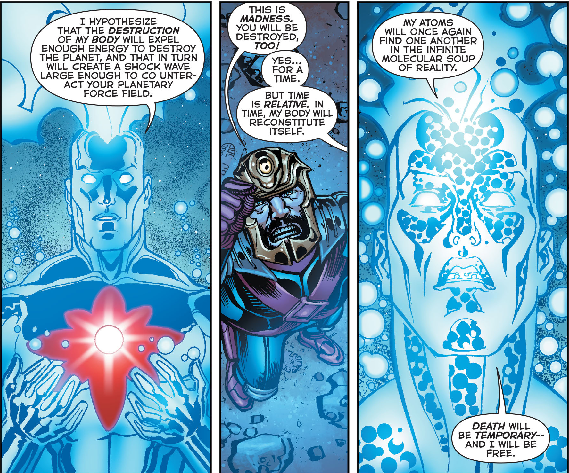 So I passed after the first issue of Futures End. So this kind of came out of nowhere for me. 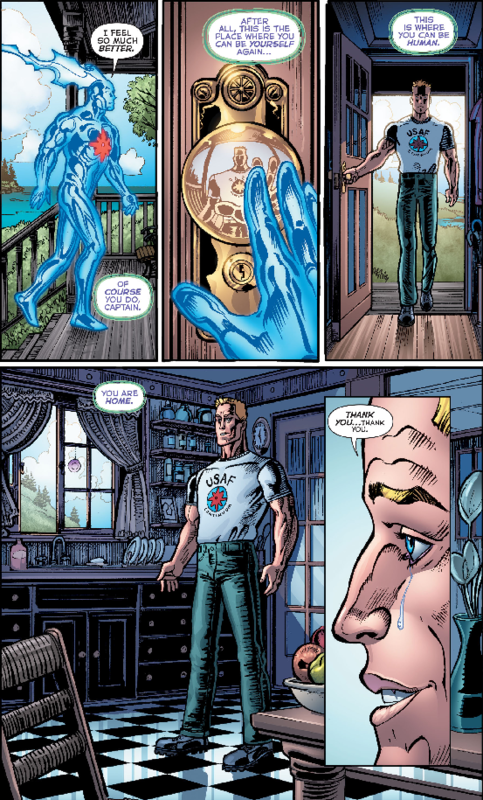 Had it not been for tumblr, I wouldn’t have even known Captain Atom returned to the DC Universe. I guess I’m not the superfan I thought I was. Because I haven’t read the crossovers or even tried to follow any of the storylines, I can’t really give this book the attention it deserves. 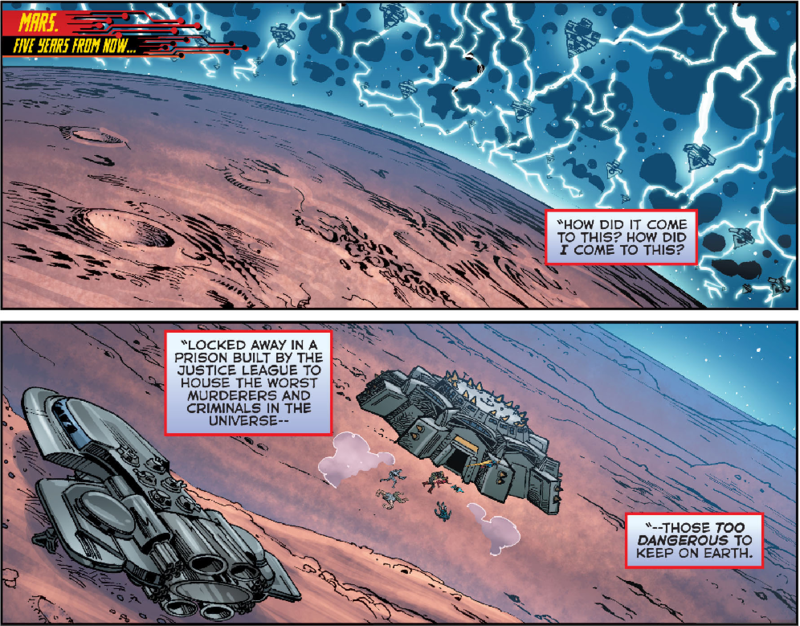 However, if you really want the low-down on Futures End right now, click this link. 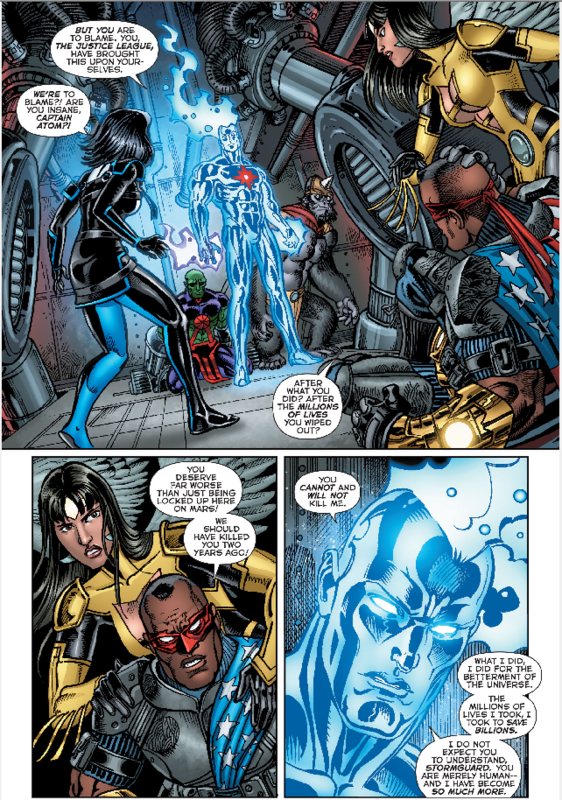 Shag (Firestorm Fan) enlisted the aid of fellow match-head Tim Wallace in sorting through the whole thing. 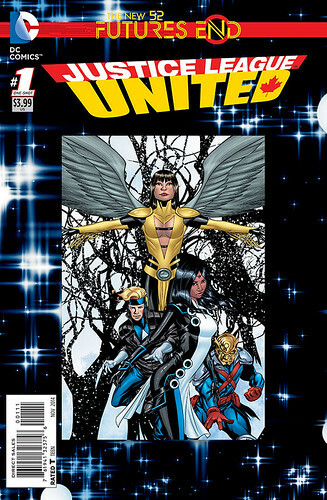 This issue was written by Jeff Lemire with pencils and inks by Jed Dougherty. The covers (see below; they aren’t exactly variants but a holographic-3D-image-thing) was the work of Mike McKone and Gabe Eltaeb.